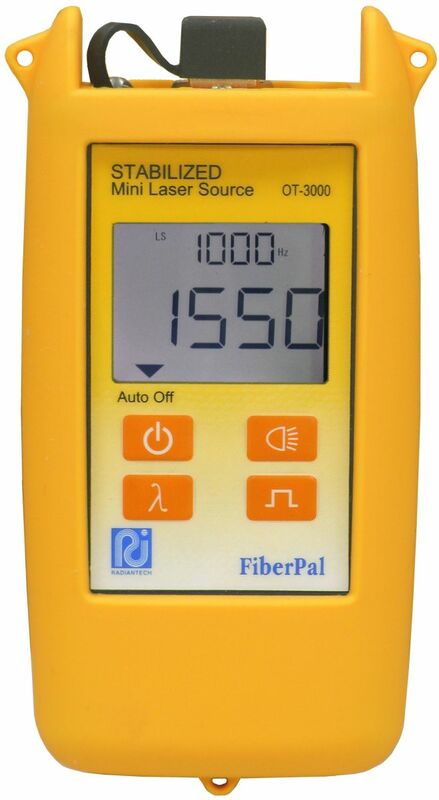 The OT-3220/3221 is designed for a high performance stabilized laser source, especially in practice for FTTX networking installation and maintenance fieldworks environment requirements. It is usually applied as stable laser sources for wide range of optical testers and tools in optical fiber cabling and transmission systems. OT-3220/3221 performance is in compliant with Bell core requirements for a stable and accurate laser sources by an internal monitor photo-diode which serves as a real-time feedback to adjust the laser current in order to be used fairly stable at certain temperature variance environment. With FTTX fieldwork practice in mind, the straightforward control panel and the smallest size with its ergonomic exterior design, it is perfect for field fiber testing splicing, connector loss, cable acceptance, attenuation, fiber-type identification in various LAN, FDDI, and ISDN networks throughputs.